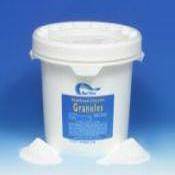 Blue Wave Chlorine Granules - 25lbs. Blue Wave's premium stabilized chlorine features U.V. protection to shield it from the sun, and it is manufactured using only the highest quality, EPA-approved chlorine. Blue Wave oversees a strict quality-controlled manufacturing process, which guarantees optimum quality and performance. 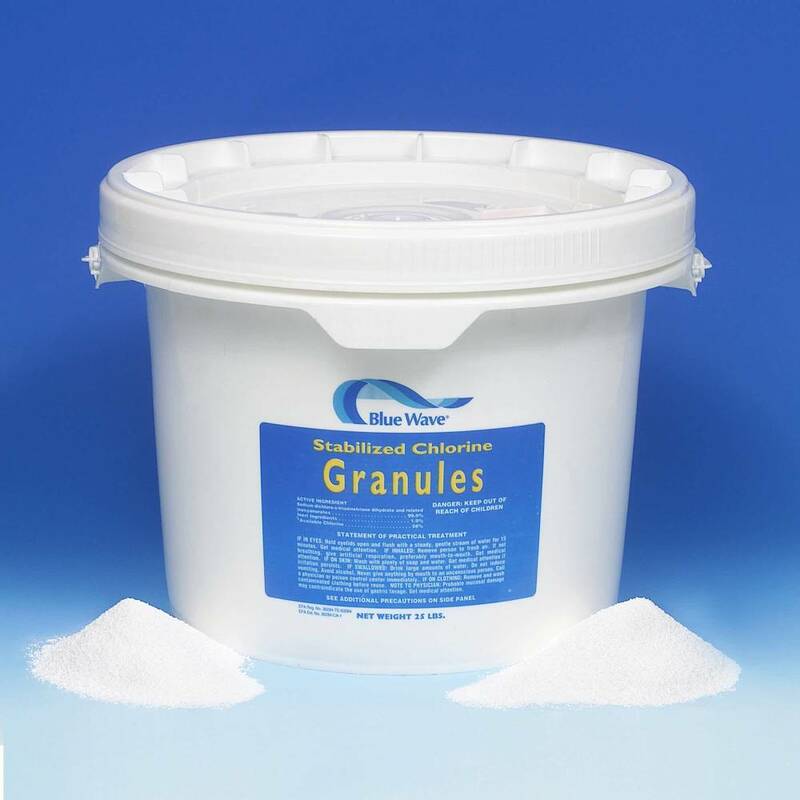 You will find that Blue Wave chlorine dissolves completely with no residue. It's the best you can buy! Compare Blue Wave chlorine to brands like Pace, Sun, Guardex, Leslies, E-Z Chlor, and BioGuard.